The British motor industry must have collectively breathed a sigh of relief following the success of the Motorshow Live at the NEC. Moved from its traditional October slot, May proved a popular choice with the public, although most manufacturers chose not to launch anything new. 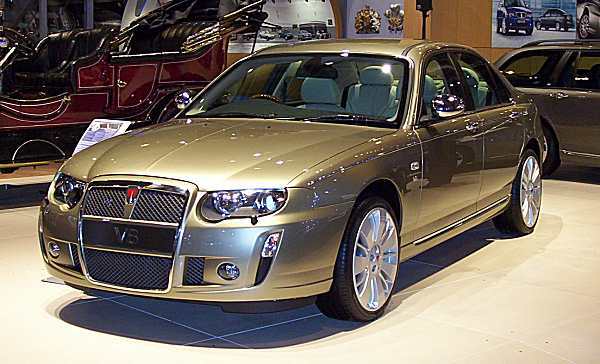 Already shown at the Geneva Motorshow earlier in the year, the Rover V8 was still the star of the stand, thanks to a combination of traditional, handsome body style and a thumping American V8 engine. But why, oh why, no Vitesse badge? Showgoers may have been a little disappointed by MGR’s compact and workman like show stand, but at least they had something new to look at. 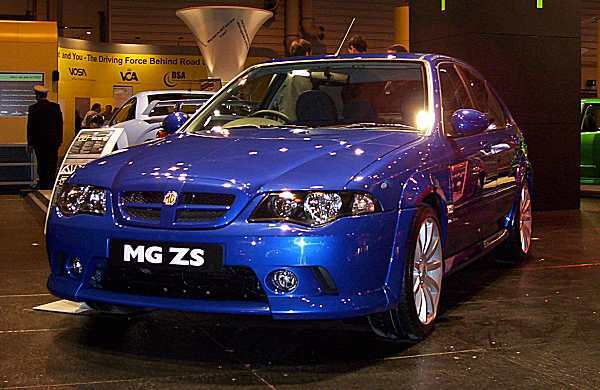 The 25, 45 and 75 (along with their MG cousins) all received makeovers during the first part of 2004 and the NEC was the first airing for the smaller two ranges. It was good to see the facelifted ranges together, and one sensed that MGR were pleased with what they had achieved… given the budgets involved, they should be. 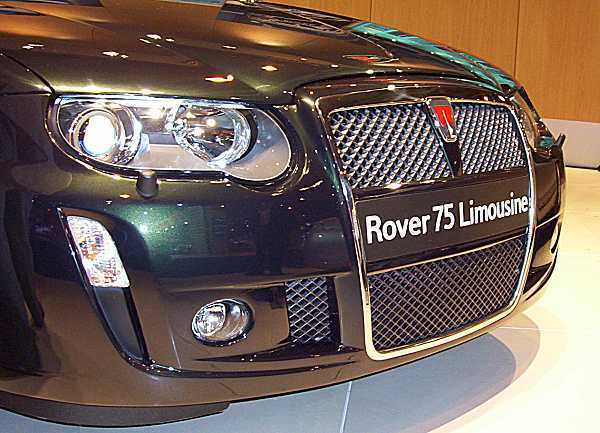 Positive news: the 75 LWB is renamed the 75 limousine, and features the same frontal styling as the V8 model. In a move to give the 75 even more class, the long wheelbase version received new frontal styling to tie in with the exclusive V8 model. Given that MGR received a bit of a pasting from the press over the frontal treatment of the 75 V8 when it was launched in Geneva, one could be surprised by this move, but in the flesh, the new frontal treatment with the gaping grille looks very good indeed. Yes, it might use a similar styling trick to something cooked up in Ingolstadt, but the overall effect is very different, and those early comparisons many made (including austin-rover.co.uk) are not really that valid. Production of the limousine is being brought “in-house” to Longbridge, demonstrating the company’s confidence in it. It remains to be seen whether the car’s newest high profile user – Tony Blair – will have a positive effect on sales, or not. 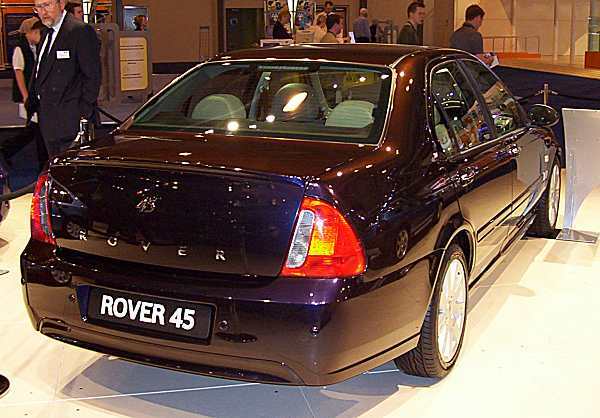 Can anyone forget the Alan Partidge effect on the Rover 800? Prices start at £27,295 for the 2-litre CDTi version, and as yet, no V8 version is available. 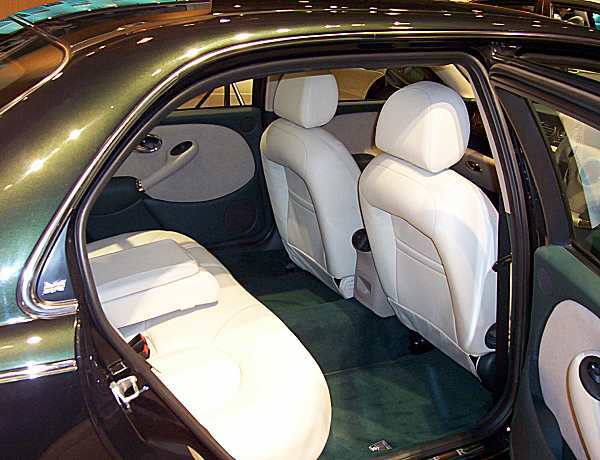 As expected, rear room is extravagent, and seat-of-the-pants impressions are that there is pretty much as much room in it as there is the Maybach 57, although perhaps, build quality isn’t quite as good. New front end for the 25: not bad, although it does not seem to work quite as well as the 45. Sticking to a reasonably successful recipe, MGR did well not to tinker too much with the stylish 25. 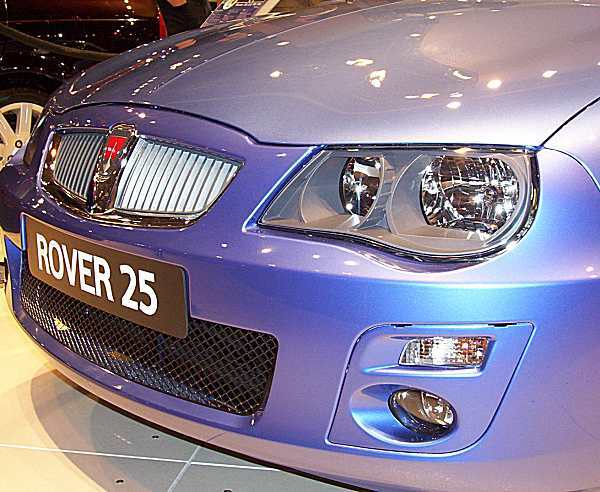 ZR remains pretty much unchanged, although the front now ties in with the ZS, ZT and SV… a family affair. The frontal view of the revised car is particularly pleasing: there are some worries over panel gaps and bumper fit, but overall, the 45 is easily the most successful of the three facelifted models. Another first look for many showgoers (although dealers had been receiving the new cars a couple of weeks beforehand), and the extent of the visual improvements to the 45 were immediately apparent. 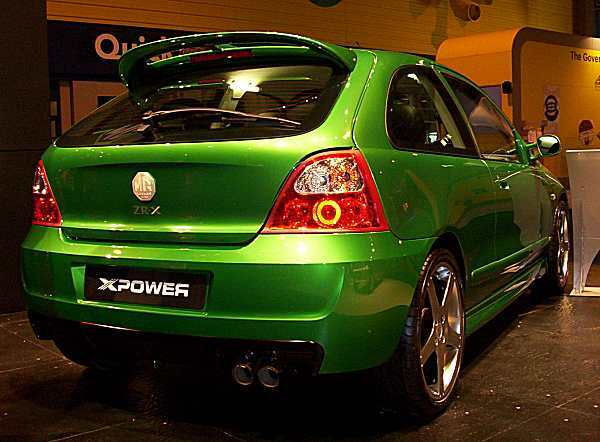 When viewing the car from head-on or front three-quarters, the facelift appears to have been particularly successful. Side on is a different matter, of course, but MGR simply did not have the money in the coffers to give the car a more radical rethink. MGR continues to maintain that the 45 platform has a lot to offer, and it has to be said that its Honda underpinnings are quite sophisticated, but as long as it remains with (much of) the existing style, it will be handicapped in the marketplace. The 45 and ZS also received new dashboards. In his press statement Rod Ramsey, MGR’s Sales Operations Director referred to it as an entirely new dashboard, and at first glance it is. The chrome rimmed round air vents (looking remarkably like those from the SV) set the interior off nicely, and the new instrument nascelle is a vast improvement on the old one. New (Rover 800esque) stalk controls work well, and joy among joys, the electric window switches are no longer on the floor between the front seats. 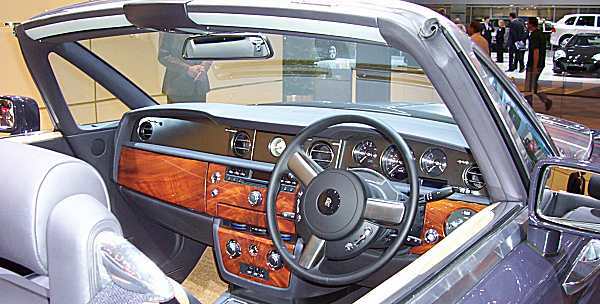 The interior is light and airy, and in Connoisseur spec, it comes in a pleasing range of colours. Even the wood looks nice. Fat bottomed… car: Honestly, it looks OK in the flesh… it does. Honestly. 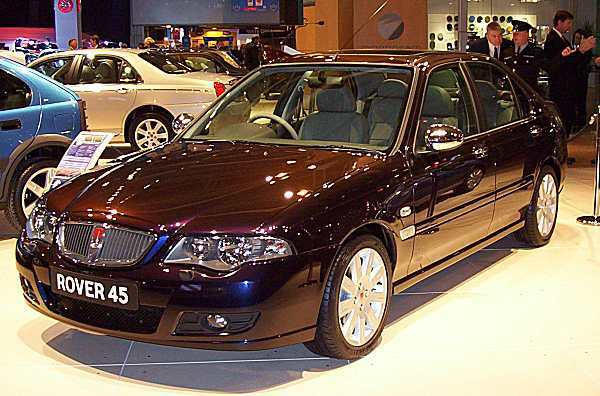 The Rover 45 front might look great, but for some inexplicable reason, it does not translate very well in MG form. This nice little concept is a toe-in-the-water exercise for XPower. 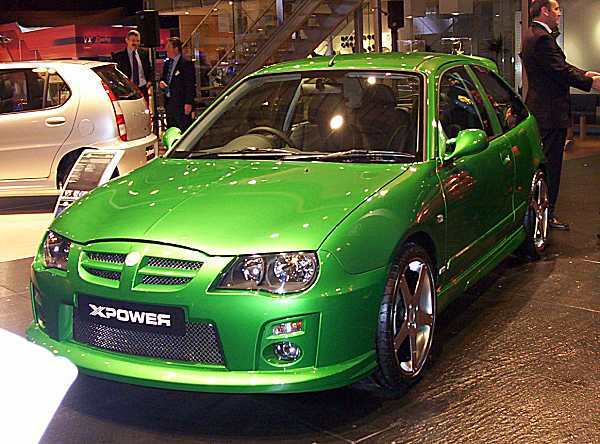 It is a rolling demonstration of what the company can do to a “stock” ZR, and all the additions can be ordered from the XPower catalogue… This particular car features a 1.8-litre version of the K-Series engine, but it is hoped that if a production version of the ZR-X emerges, it will sport a more potent version, such as the K2000 premiered at the Autosport show back in January. 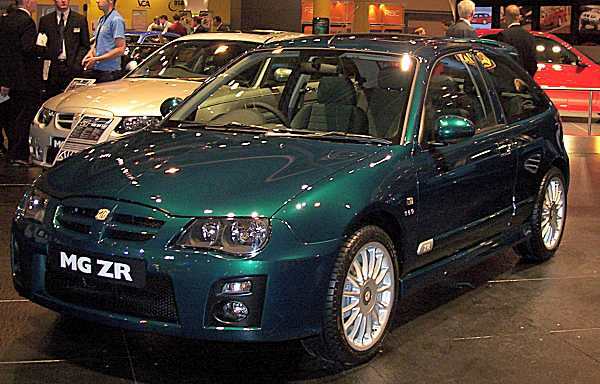 Expect a version of the ZR-X in a showroom near you soon, if demand is sufficient. One for the boy racers: This appealing concept shows just how much improvement can be made with a few little tweaks here and there. It is hard to miss the larger wheels, aftermarket rear lamp clusters, M3 style door mirrors and attractive XPower badging. 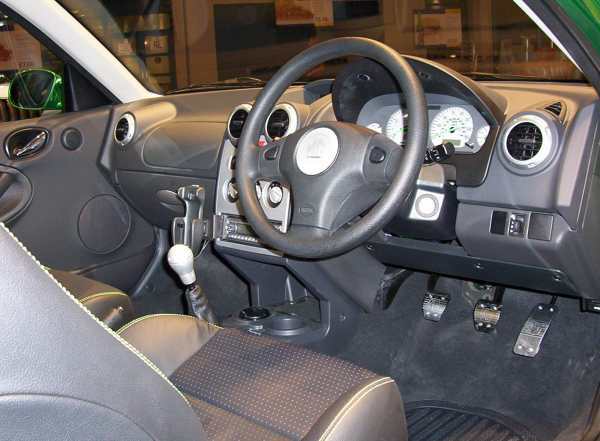 MG meets Ripspeed: Appealing alcantara trim meets Halfords style pedals and gearknob. CityRover rejiggled: Although publicly, MGR are stating that they are happy with CityRover sales (3,000 since launch), it would seem that they are less than happy with its quality. There was talk of a taskforce being sent out ot Pune in order to tighten it up, but also the possibility of introducing a UK interior, to be installed “somewhere near Southampton”. Diesel engines: Apparently, work continues on a common-rail version of the worthy L-Series power unit (found in the 25/45), which will hopefully be going onstream before too much longer. There was the possibility of using gen-1 PSA HDI engines, following talks between MGR and Peugeot around the time of the ill-fated Matra/Espace negotiations. RD/X60 canned? 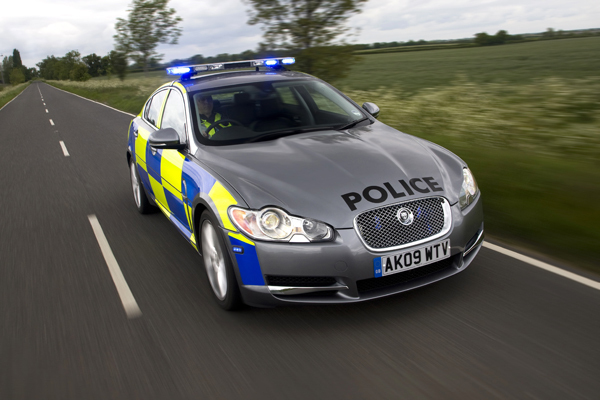 Persistent rumours over the fate of RD/X60 continue to circulate. MGR’s finances: Now that Tony Blair has a 75 Limousine as his company car, will he be accommodating if the company come cap in hand to him around the time of the Election? Certainly, a few people have heard that this could well happen. 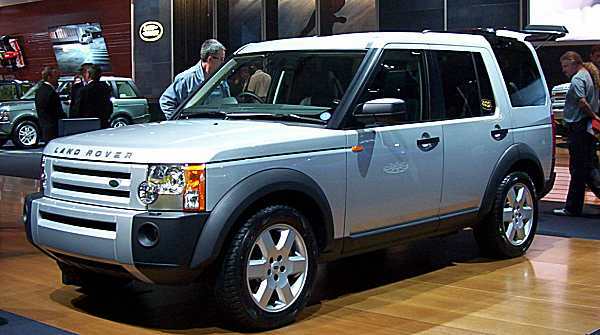 New Discovery: a good looking off-roader, but has it been around longer than Ford would like us to think? 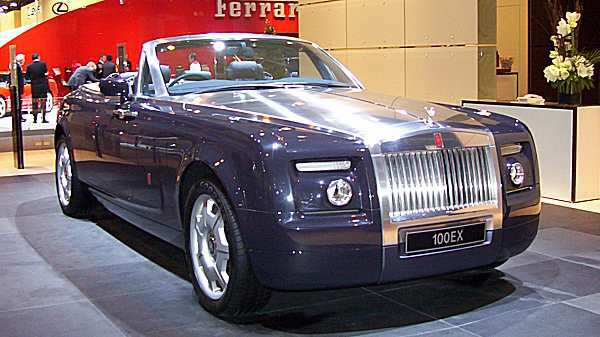 Rolls Royce 100EX… a show car, and not going into production. Yeah right. Not an NEC debutante, but interesting nontheless, as it shows that BMW have plans for Rolls-Royce. The 100EX is the companys first concept car, and although I could not get the company’s spokesperson to say anything more than, “interest has been phenomenal, but we have no plans to produce it”, it is clear that this car (or a watered down version of it) will go into production. The name “Corniche” has a nice ring to it, don’t you think? 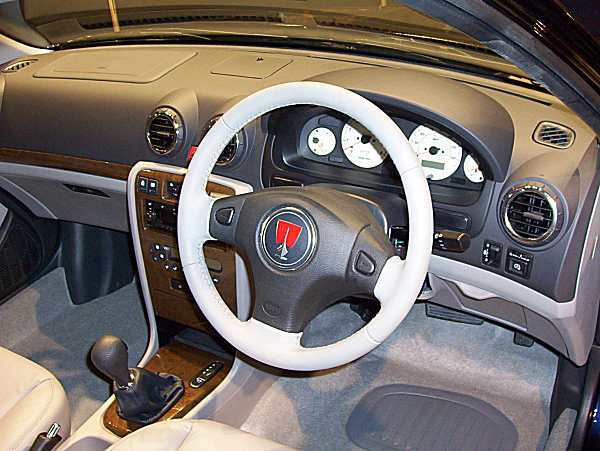 Interior is a work of art, and is as classy as the Maybach is vulgar. Aston Martin DB9: styling perfection? Probably. Lotus Exige still woos the track day brigade.